← Win Yorkshire Food and Drink Prizes! Does your local Pub, Hotel or B&B serve a Deliciously Yorkshire Breakfast? When staying in accommodation the last thing I remember about a place is the breakfast, not the clean rooms or the chocolate on the turned down bed, the breakfast. If served a rubbish breakfast after a pleasant stay somewhere, all you remember is the dodgy sausages ! Well now you can look out for, or suggest to your favourite B&B that they serve a Deliciouslyorkshire Breakfast, your guarantee of a truly local breakfast made with quality, locally grown or homemade ingredients! 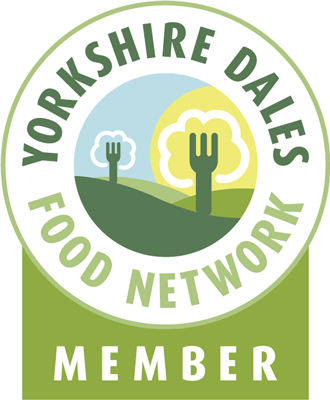 Designed to encourage hotels, B&Bs and cafes to source more regional produce, the Deliciouslyorkshire Breakfast scheme is only open to those who source 5 ingredients or more regionally – look out for the distinctive Deliciouslyorkshire Breakfast logo. The scheme continues to go from strength-to-strength – capitalising on the growing interest in sourcing and serving more locally produced food with all the benefits of few air miles and a healthier, greener environment – not forgetting the great, fresh taste! If you would like to serve Deliciously Yorkshire Breakfast’s then get in touch with Paganum to supply all your Yorkshire Breakfast ingredients and then register with the Deliciously Yorkshire Regional Food Group to promote your quality local breakfast. This entry was posted in Food, Yorkshire Dales Food and tagged b&b, bacon, black pudding, breakfast, deliciously, environment, Food, greener, hotel, local, miles, pub, regional, Sausages, taste, Yorkshire. Bookmark the permalink. Terrible breakfast this morning in a hotel nr Canterbury….. i asked for a scrambled egg, toast, beans and black pudding….. egg was ok, toast did not seem toasted, i got half (point 5) (.5) of a small slice of black pudding, but the beans were beans. mmm Black Pudding from my experience is either good or bad but never just OK!